If you keep your eye on your website analytics, you’ve probably noticed a significant increase in visitors who are using mobile devices, including smartphones and tablets. The statistics reflect this dramatic increase: Search Engine Watch reported in 2013 that of the 6.8 billion people in the world, 5.1 billion of them currently own a cell phone. Earlier this year, the Pew Research Center noted that 91% of American adults have a cell phone, 56% of American adults have a smartphone and 34% own a tablet. 56% of those cell phone owners use their mobile phone to access the internet. 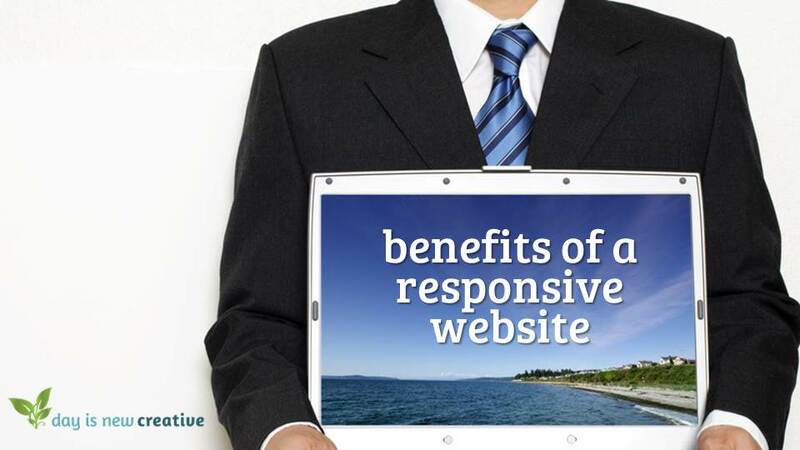 Converting your website to a responsive design to accommodate the increasing numbers of mobile visitors visiting your website has many advantages. But what is a responsive website, you ask? A responsive website adapts to specific device screen sizes utilizing CSS3 media queries, a relatively new technology. Essentially, a website visitor accessing your site on a tablet will see a layout that is optimized for their screen size; while a visitor with a smartphone will see a slightly different one optimized for its screen size. The differences in layout are all managed by your site’s CSS file; there is no need to create and maintain a separate mobile-only website. Heather Larson is a WordPress consultant based in Seattle, Washington, who designs and develops user-friendly and scalable websites. © 2019 Day is New Creative, LLC. Building WordPress & Drupal websites in Seattle, WA since 2006.